The audio promos of Ram Charans Nayak are already creating a huge buzz. Fans have got a good feel about the film’s audio and couldn’t stop raving about Charan’s looks and stills in the movie, particularly in Shubhalekha Rasukunna remix song, which was shot in Iceland. Nayak’s songs will be unveiled on December 17 at Nanakramguda Cine Village in Hyderabad and the first teaser is expected to be out shortly. S. Thaman composed the film’s soundtrack and background music, marking his first collaboration with both V. V. Vinayak and Ram Charan. 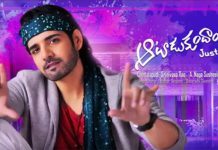 In April 2012, it was reported that Thaman was composing the film’s songs with a focus on romantic songs featuring the two female leads. 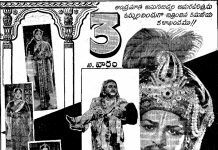 The song “Subhalekha Rasukunna”, originally composed by Ilaiyaraaja for the soundtrack of the 1990 Telugu film Kondaveeti Donga, was remixed for this film in mid-July 2012 without any alterations in the tune and lyrics written by Veturi Sundararama Murthy. 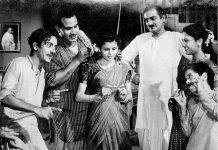 The lyrics of the remaining five songs were penned by Chandrabose, Bhaskarabhatla, and Sahithi. 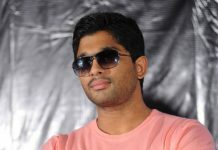 All the songs were arranged by Thaman and were recorded at Studio N.Y.S.A. in Mumbai and Studio T.A.A.L. in Hyderabad. 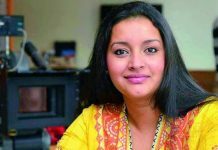 Aditya Music acquired the audio rights for an undisclosed high price. The audio teasers were unveiled in mid-December 2014, and the official track list featuring six songs was unveiled on 14 December 2012. 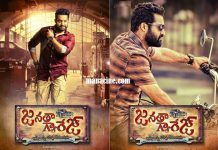 The film’s soundtrack was launched on 17 December 2012, during a promotional event at Ramanaidu Studios. Pawan Kalyan attended the function as the chief guest along with the film’s principal cast & crew. Oneindia Entertainment placed “Nellorae” in fourth place on the list of top 10 item numbers of the year in 2013. 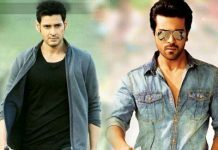 Previous articleMahesh to replace Ram Charan? ?